inquire about booking and touring them to your city. Orbert Davis' 50-plus piece orchestra is one of the most versatile large orchestras anywhere and certainly Chicago's most adventurous unit. "A Collaboration of Genius," featured an evening of new music composed and arranged by Orbert Davis. Where jazz and classical co-existed in peaceful harmony! 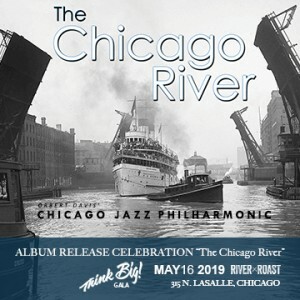 Orbert Davis' swinging Chicago Jazz Philharmonic showcased its repertory of original works, while celebrating the 40th anniversary of Chicago's pioneering Association for the Advancement of Creative Musicians (AACM) by premiering a new composition. 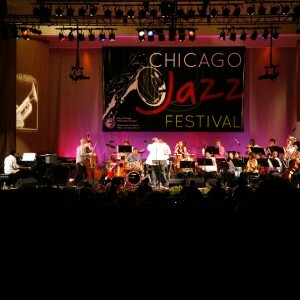 This performance marked the debut for the Chicago Jazz Philharmonic. 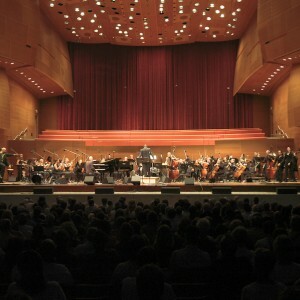 An evening of music and celebration to raise funds for Chicago Jazz Philharmonic's performance and education programs. 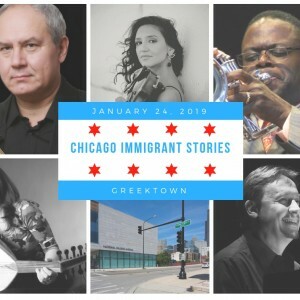 “Chicago Immigrant Stories II” – This second year of “Chicago Immigrant Stories” (CIS) will bring CJP’s artistry of cross-genre collaborations to meld with the musical culture of some of Chicago’s most diverse immigrant communities and musicians. 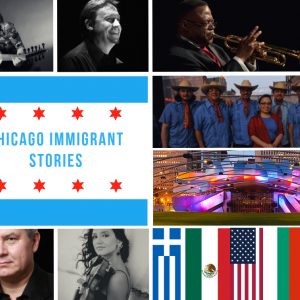 The "Chicago Immigrant Stories II" project will culminate with its finale performance on July 22, 2019 with a full orchestral arrangement of these Innovation Lab ideas, featuring all the collaborating performers with CJP’s 60-member orchestra, conducted by Orbert Davis. All events are free and open to the general public. 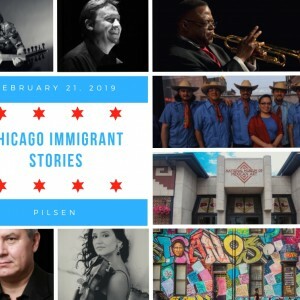 This collaboration will feature Juan Díes and Victor Pichardo, founding members of the Grammy-nominated folk ensemble Sones de México.